This past August I read a blog post entitled Six Things Parents Need for Back to School (That We Can’t Buy) by KJ Dell’Antonio. While homework routines, job charts, and other behavior-based tools made up the majority of her wish list, it was clear that Dell’Antonio desired more than just compliance from her kids. She described wanting to help her children develop qualities like self-sufficiency and independence. And she ended her piece with a wistful longing for more time to just be with her kids – whether hanging out at home or watching the stars. Be as in being with. I want to take Dell’Antonio’s sentiment one step further and suggest that what we need most as parents is to shift from a behavioral focus to what researchers like Daniel Hughes and Jonathan Baylin refer to as a relational focus. A relational style of parenting means being curious about what our kids are thinking and feeling. In their book Brain Based Parenting (2012), Hughes and Baylin define a relational focus to parenting as one in which we are primarily interested in understanding our kids – how they feel and what they’re thinking. Contrast this with a behavioral focus, in which parents pay more attention to what kids are doing. This usually results in doling out rewards and punishments or trying to craft age appropriate logical consequences. Rarely does it require wondering about the inner life of our children. Why is this important? Why should we ditch the authority and comfort of reinforcements like sticker charts, which are, admittedly, highly effective at shaping the behavior of our children? There are three reasons. 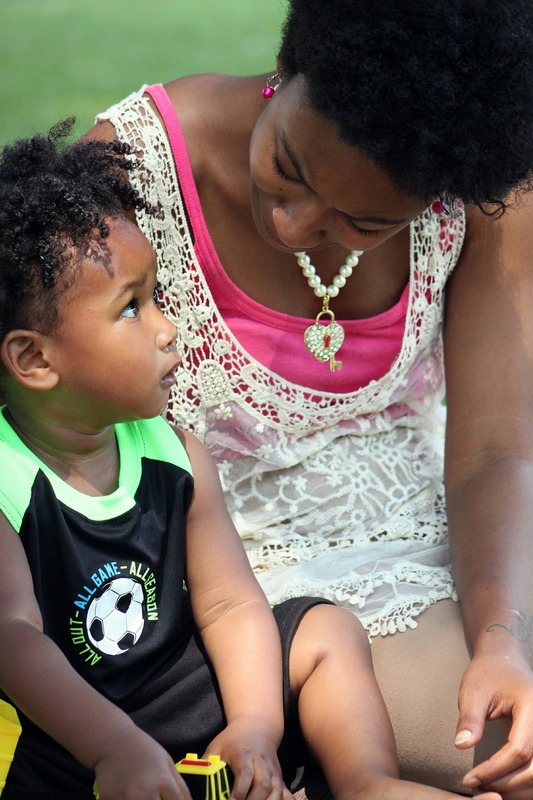 A relational style of parenting focused on understanding and connecting with our kids fosters healthy brain development, instills intrinsic motivation, and supports the creation of an egalitarian society. In this post I’ll cover the first of these reasons – healthy brain development. Upcoming posts will cover the role of relational parenting in developing intrinsic motivation and fostering social equality. The problem with the behavioral approach, argues Hughes and Baylin, is that it ignores the relational dynamic between parents and kids. Think of this as a kind of dance between you and your child that involves facial expressions, tone of voice, body posture, and other non-verbal forms of communication. For example, imagine that 9-year-old Sam comes home from school feeling tired and grumpy and pushes 4-year-old Anna when she runs up to greet him. A behaviorally oriented parent would naturally focus on the push and promptly deliver a consequence. This is precisely what our imaginary mom does – instructing Sam to apologize to his sister and, perhaps, take a time-out. What is lost in a behavioral translation of that interaction is the look on mom’s face as she communicates the consequence. She will likely furrow her brow, raise her voice, narrow her eyes and press her lips together – all unconsciously as she delivers her rational message. Mom is trying to teach Sam to be a kind and respectful person. Sam, however, is taking in mom’s angry face. Neuroscience is showing that this relational dance has the potential to shape our children’s brains. Thanks, in large part, to a structure called the amygdala. 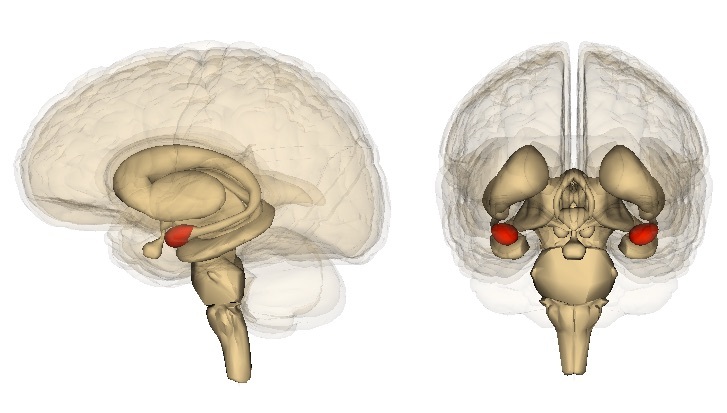 The amygdala, located deep in the temporal lobe of the brain, operates as our threat detection system, somewhat like a bodyguard. It takes in information from our senses, as well as our heart and gut, and determines whether things are safe or whether to send us into fight, flight, or freeze mode (Hughes & Baylin, 2012). The amygdala is particularly sensitive to facial expressions, including eye contact and changes around the eye (Hughes & Baylin, 2012). Friendly, welcoming faces, smiling eyes, and calm voices send the message to our amygdala that we are safe. Angry faces, raised voices, and narrowed or averted eyes (remember mom?) can signal threat, sending the message to attack, flee, or shut down (Hughes & Baylin, 2012). In that heightened state of alert, the parts of our brain responsible for rational thinking, problem-solving, and relating to other people go offline. When Sam sees mom’s angry face, he can’t hear the message in her words. His amygdala will not let him. Only when Sam feels safe again will he be able to process the meaning of what mom is saying. Does this mean mom is not allowed to feel angry? Or that Sam should be allowed to become a little tyrant, pushing Anna around as his mood dictates? Certainly not. It does mean that mom will be more effective when she has calmed herself down (this could be as simple as counting to 10). By regulating her own emotions, she’s also modeling how to appropriately manage stress. Kids “hear” the emotion on their parent’s face before they hear the meaning of their words. On the flip side, if mom is angry or stressed a lot, Sam may have a hard time learning to regulate his emotions. Living in a chronically threatening environment can sensitize the amygdala to angry or fearful faces – resulting in quicker defensive reactions to people (Hughes & Baylin, 2012). 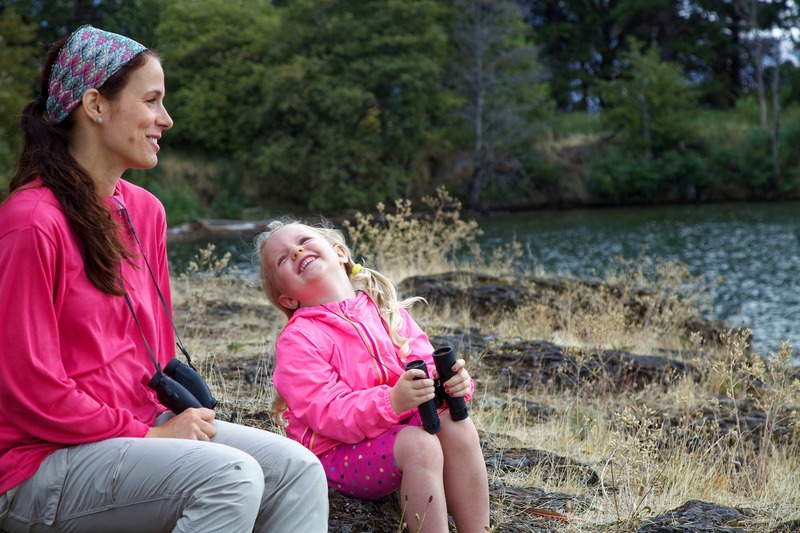 The bottom line is this – what we know about the brain supports a style of parenting focused on how we relate to our children, not just to what they do. Look for Part 2 of this blog post next week, or sign up below to get notifications about this and other upcoming blogs as soon as they’re posted. Thanks for reading! Hughes, D.A. & Baylin, J. (2012). Brain-based parenting: the neuroscience of caregiving for healthy attachment. W.W.Norton & Company, Inc.: New York, NY. I love your article gets and feel it will be helpful to give for my clients to read. Parenting is so much bigger than and more fun than monitoring and managing behaviors! It’s those lovely interactions with my kids day in and say out that make the difference and those interactions are why I had children–certainly not to just monitor their behaviors! Thanks for your comment, Sarah! The idea of fun is so important! When we let ourselves have fun with our kids, connecting (“relational” parenting) happens naturally.